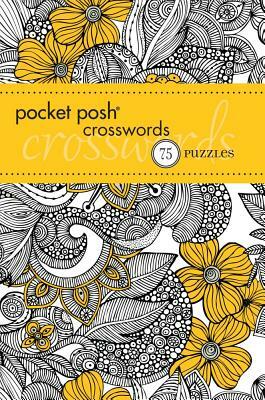 Our 5th collection of Pocket Posh® crossword puzzles featuring 75 puzzles of medium-level difficulty packaged in our signature, trademarked style. The spiritual meaning of the number 5 deals with travel and motion, and Pocket Posh® Crosswords 5 is perfect for travel and on-the-go puzzling. This portable package is part of a best-selling series featuring highly stylized, embellished covers and boasting 5 million copies in print. A free trial subscription to The Puzzle Society™ adds extra value.